A new bus route, 88B, will start running between Herttoniemi and Kruunuvuorenranta from 25 February to improve public transport service in Kruunuvuorenranta. 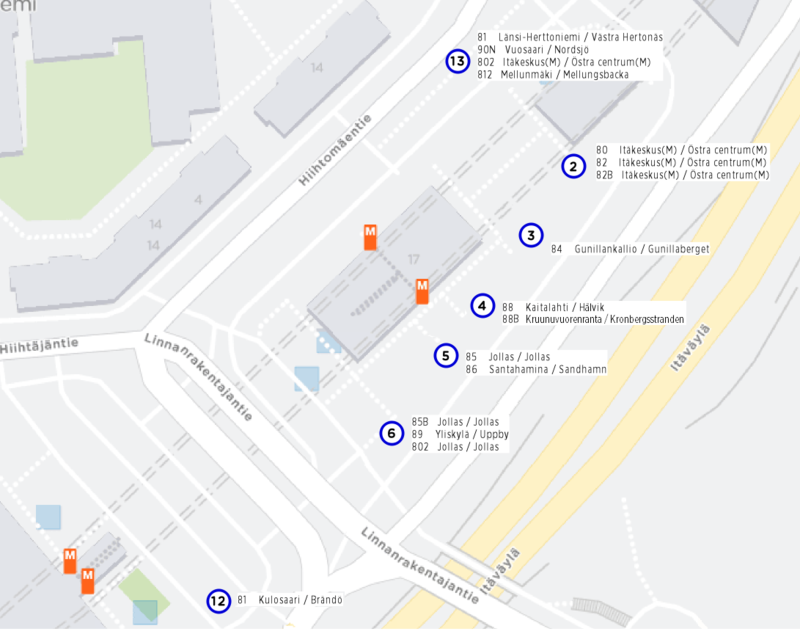 Bus 88B will operate the route of bus 88 Monday to Friday at peak times in the direction of rush-hour traffic to the "Haakoninlahdenkatu" bus stop, which is the terminus of the route. In the morning, the bus will run to Herttoniemi 7.07am-9.20am and in the afternoon, it will run to Kuuruvuorenranta 2.47pm-5.35pm. Buses 88 and 88B will provide more frequent service: at peak times in the direction of rush-hour traffic, the buses will run every 6 minutes, during the daytime every 10 minutes, in the evenign every 15-20 minutes, on Saturdays every 10 minutes and on Sundays every 15 minutes. In the future, every other service on route 88 will operate under route number 88B. Bus 84 will operate less frequently, with 6-minute headways instead of 5-minute headways. In the opposite direction of rush-hour traffic, bus 84 will run more frequently, with 6-minute headways instead of 10-minute headways. In the evening, bus 84 will run every 15-20 minutes and on Sundays every 15 minutes.